In 2015, Mike Anderson and Clay Mead partnered on a bull from us. This year we visited Mike's herd to see the results of their choice. 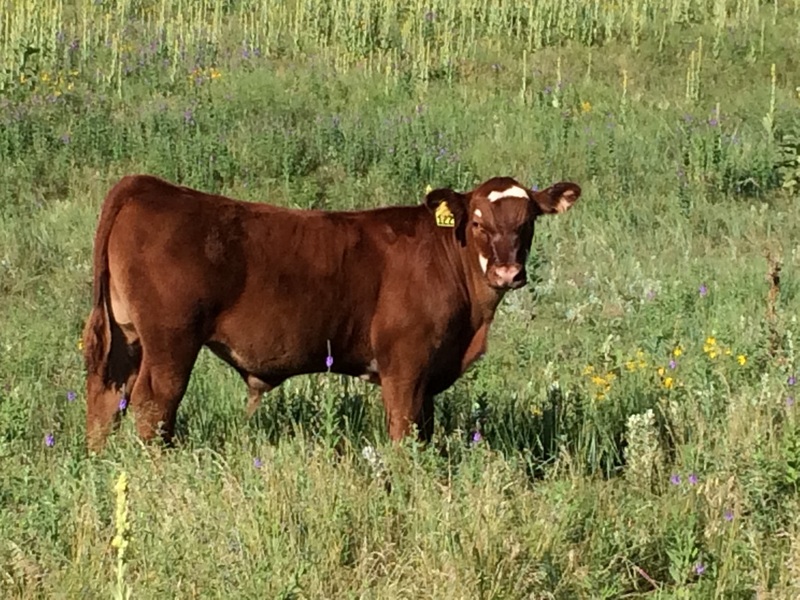 The bull is ECC Cherokee Joe 349, a powerful son out of one of our best cows. 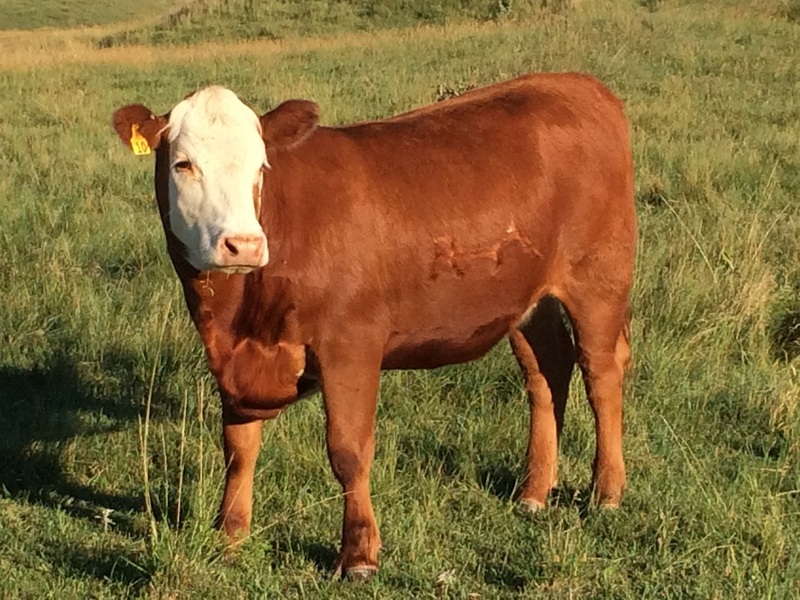 He breeds Clay's herd starting on the first of April. Then he is transferred to Mike's herd to breed until August 15. 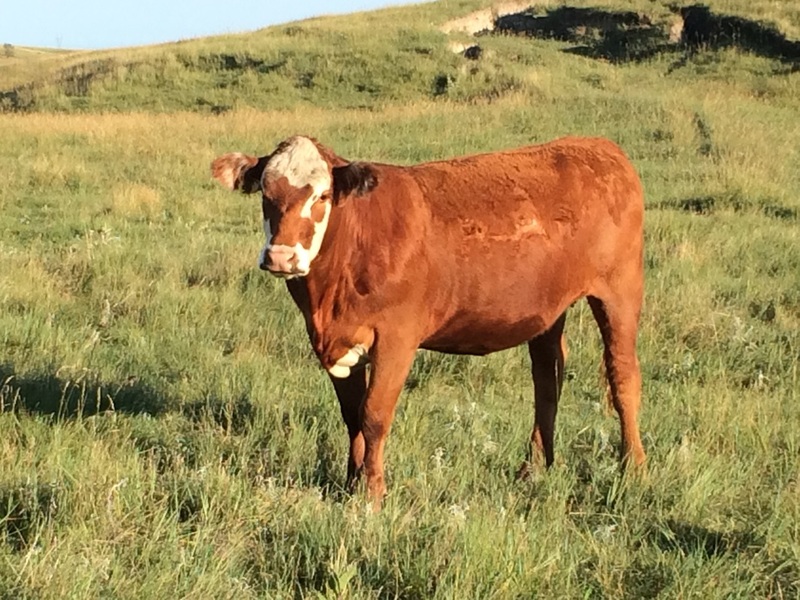 Mike tells us that he is not pampered and is totally forage fed, grass in the summer and cornstalks with a little dry hay in the winter. Easy keeper! Mike is passionate about cattle, genetics and producing the best quality he can. 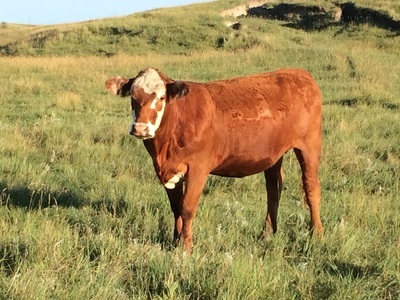 It shows in his herd. 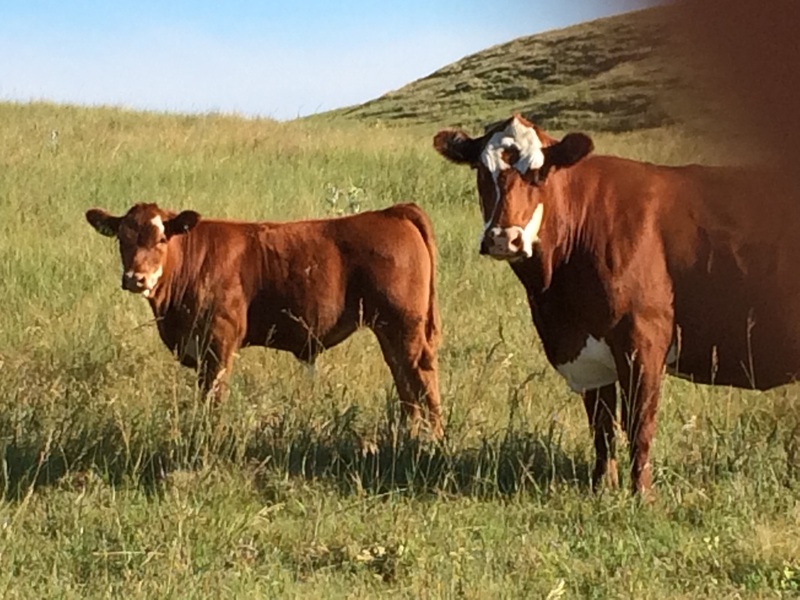 Here are a few pictures of steers and heifers out of "Joey". 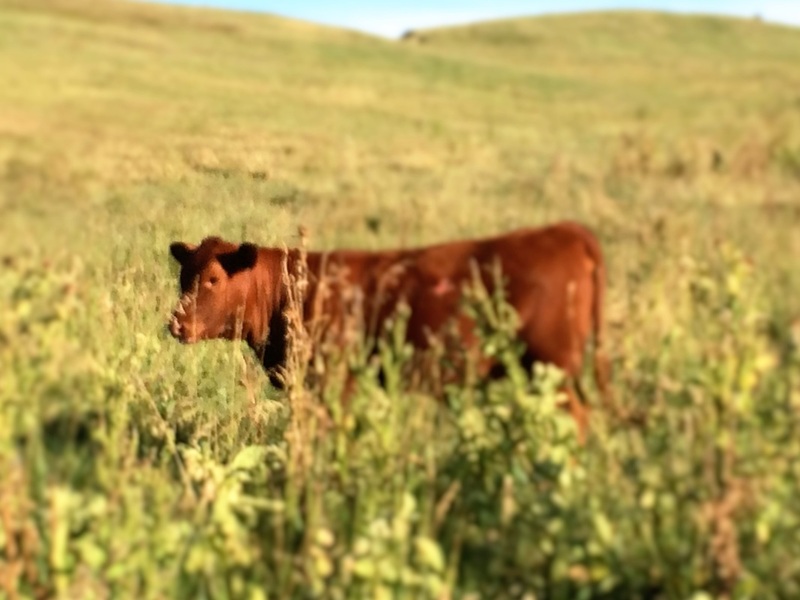 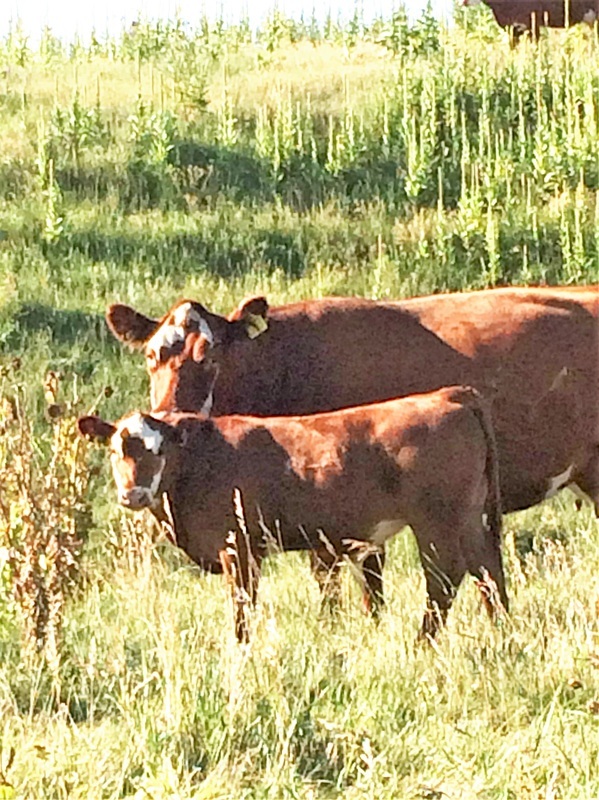 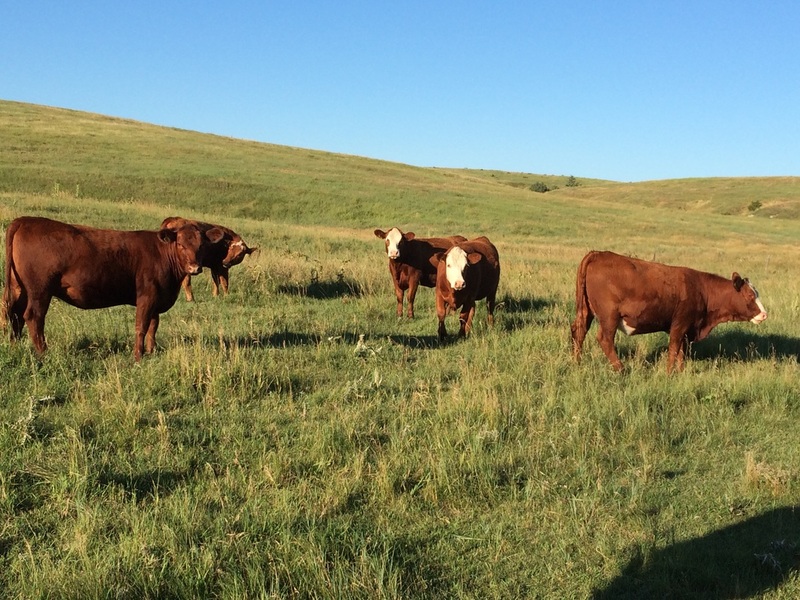 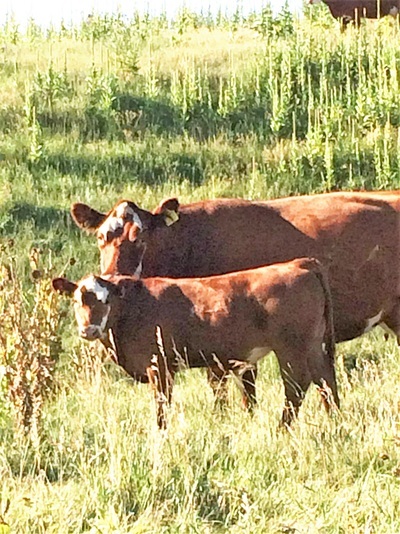 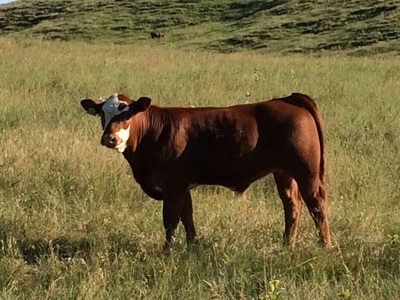 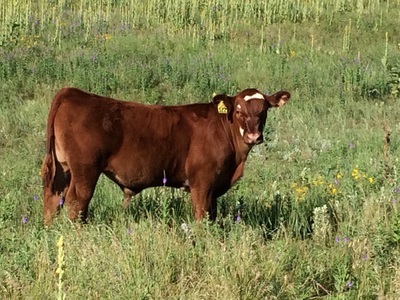 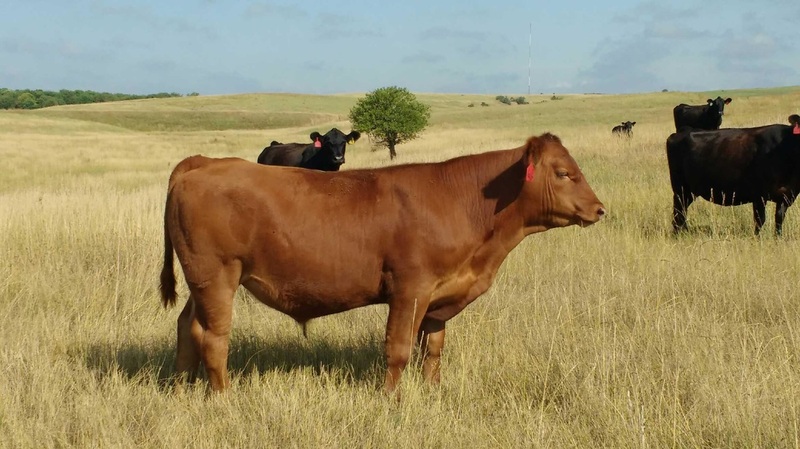 His planned crossbreeding program of Red Angus bulls on red white face cows and Hereford bulls on solid red cows is a perfect example of full use of heterosis. 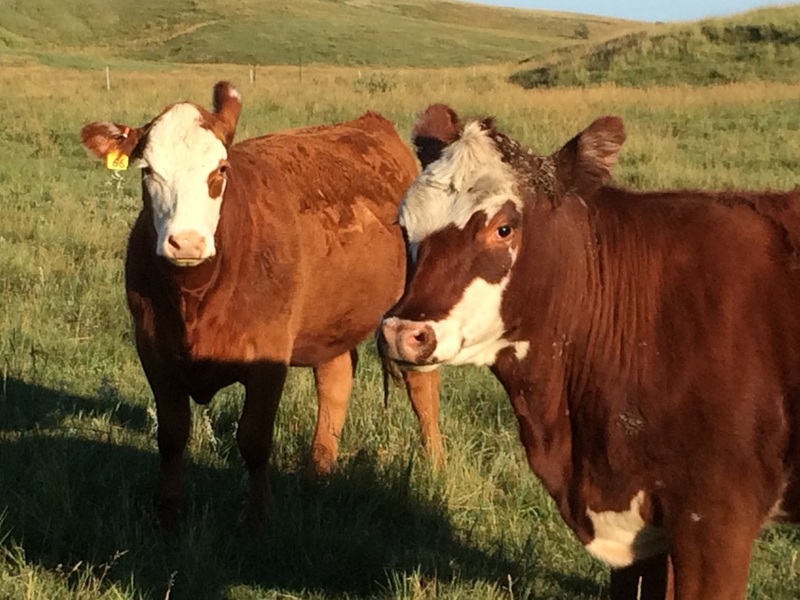 To the right is a 'Joey' steer that is out of one of Clay's cows. 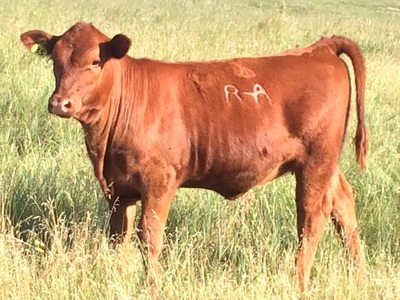 He sure puts his stamp on his calves. 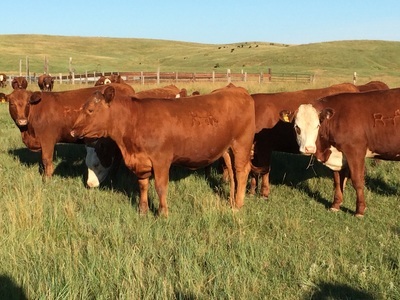 Mike is known for his quality replacement heifers. When you look at his bred heifers you know why. 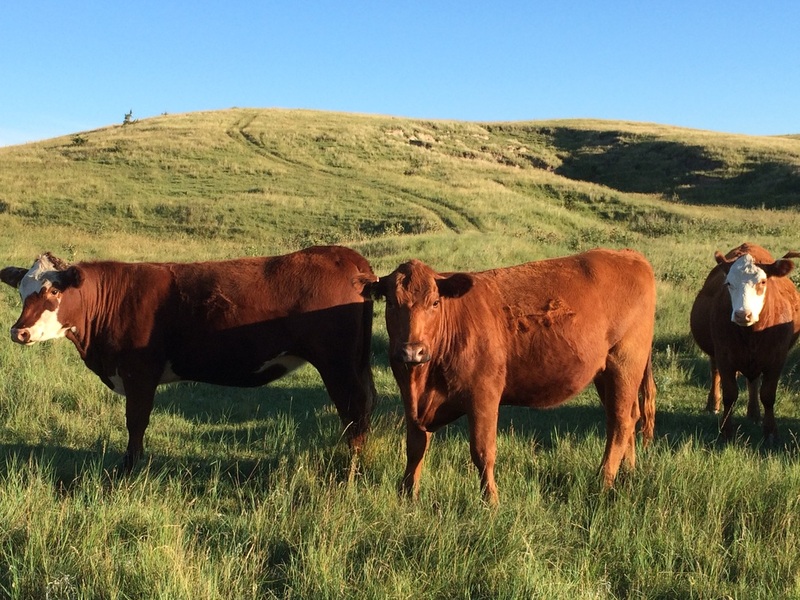 With a focus on maternal and solid carcass genetics, these girls will produce great steers that buyers fight over and awesome replacements.